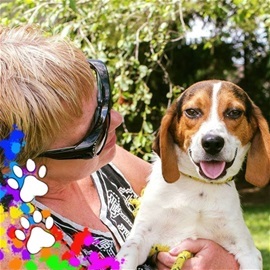 Welcome to Ohio Hound Rescue! See the pet of your dreams? Submit an application here! *If you are at Jack's Pets, please go to page linked in left column. Looking for a new friend? Visit our Petfinder listings, under Three Sisters Pet Rescue. We need your help, if we are to continue to rescue special needs pets like Sally. Please consider making a tax deductible donation today! 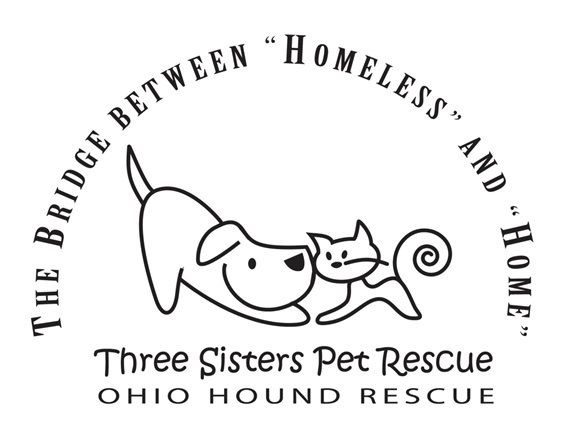 As president of Ohio Hound Rescue (aka Three Sisters Pet Rescue) I'd like to take this opportunity to welcome you to our website. And invite you to join us in the battle against canine and feline homelessness. Please adopt, foster, donate and tell your friends! And, while I'm asking.... PLEASE always, always, always.... SPAY AND NEUTER!